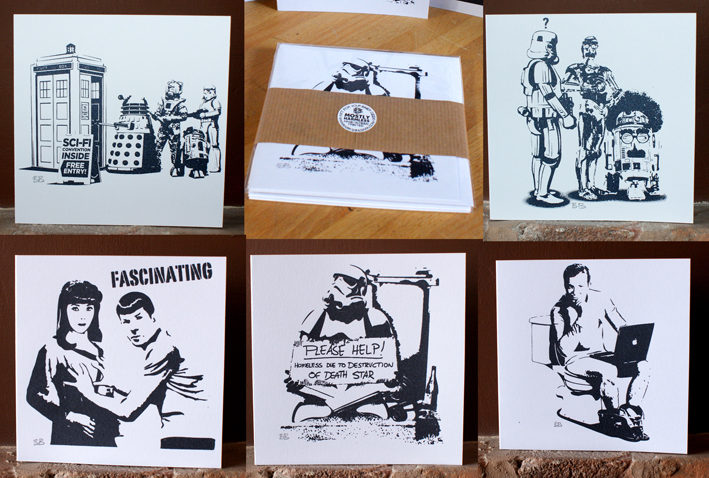 Greeting Cards for the Geeks in your life! 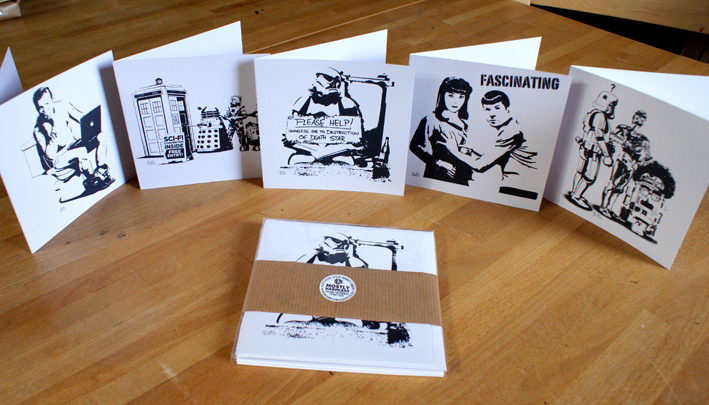 After many requests I’ve finally got round to printing a set of 5 greeting cards based on some of my print designs. Hand printed onto a natural white 250gsm art stock. The colour is a very dark pearlescent grey/black, I use high quality, nontoxic, water based ink, so they are environmentally friendly. The cards measure 5” x 5″, each are initialed and are blank inside, come with a matching envelope and are enclosed in a clear cellophane sleeve for protection. 1 x Captains Log design. 1 x Homeless Trooper design. Posted in Prints. Tagged with Greeting Cards, Sci-fi.